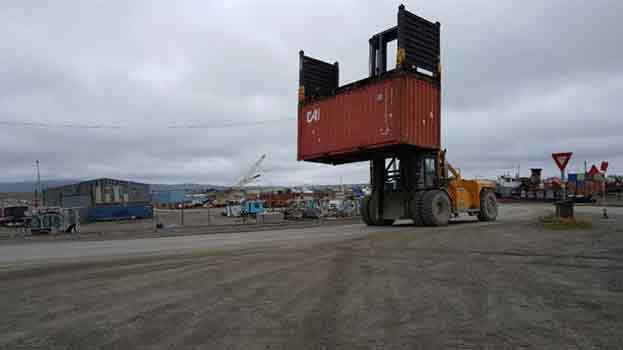 The Alaska Department of Transportation and Public Facilities (ADOT&PF) is planning two projects to improve roadways in Nome for Seppala Drive and Port Road. 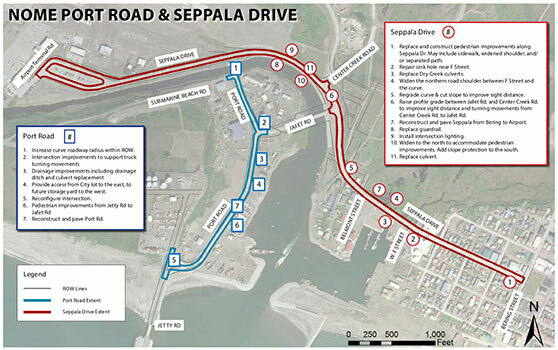 The Nome Port Road Reconstruction project would reconstruct and improve approximately 0.6 miles of Port Road between Submarine Beach Road and Jetty Road, and the Seppala Drive Upgrades project would rehabilitate approximately 1.3 miles of Seppala Drive between Bering Street and Airport Terminal Road in Nome, Alaska. The purpose of both of the proposed projects is to improve safety, extend the service life of the roadways, and reduce maintenance associated with degraded roadways and poor drainage. 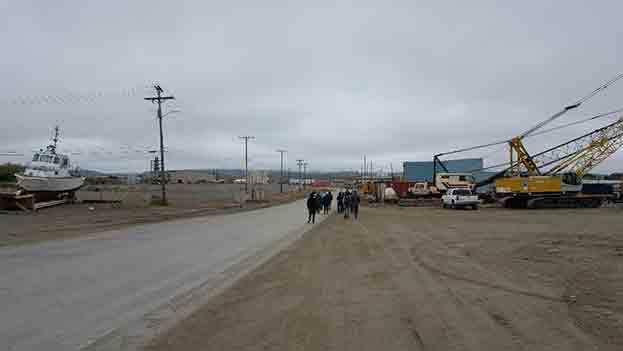 Reconstruct and pave Seppala Drive from Bering Street to Airport Terminal Road, including select subgrade improvements. Replace and construct pedestrian improvements along Seppala Drive. Improvements may include sidewalk, widened shoulders, and/or a separated path. Repair sinkhole near F Street. Regrade curve and cut slope between Belmont Street and Jafet Road to improve sight distance. Raise profile grade between Jafet Road and Center Creek Road to improve sight distance and turning movement. Widen Seppala Drive to the north in order to accommodate pedestrian improvements west of Center Creek Road. Add slope protection to the south along the Snake River. Replace culvert west of Center Creek Road. Right-of-way (ROW) acquisition may be needed along the project corridor. Relocate or repair utilities impacted by the project. Reconstruct and pave Port Road. Increase curve radius at intersection with Submarine Beach Road, within existing ROW. Improve intersection at Port Road and Jafet Road to support truck turning movements. Improve drainage including drainage ditch and culvert replacement. Construct pedestrian improvements along Port Road from Jetty Road to Jafet Road. Improve crossing location from City harbor lot to future laydown area. Improve intersection at Port Road and Jetty Road to support truck turning movements and improve safety. Minor ROW acquisition may be needed for improvements. 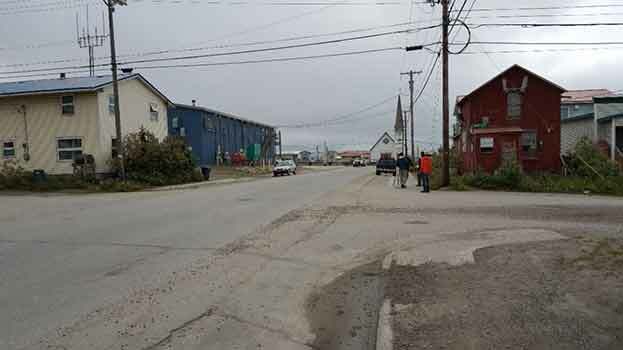 The proposed projects would occur on two separate roadways in Nome, Alaska for Port Road (approximately 0.6 miles between Submarine Beach Road and Jetty Road), and Seppala Drive (approximately 1.3 miles between Bering Street and Airport Terminal Road). Banner Photo Credit: Robin Reich, Solstice Alaska Consulting, Inc.